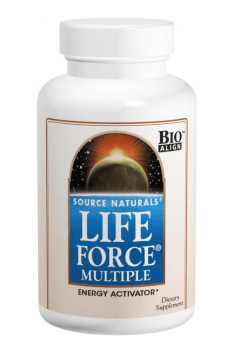 Life Force with Iron 180 tab. The size of a daily portion of this preparation is established depending on the assessment of our diet when it comes to the availability of nutrients. In the case of people applying varied diets, rich in vegetables and fruit, it is recommended to take only 4 tablets a day. The doses of 8 or more capsules a day should be considered in the case of all the situations, in which we suspect considerable deficits of nutrients, which are hard to deliver in conventional ways. A daily dose should be divided into 2-3 portions, during the main meals.